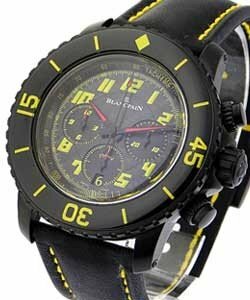 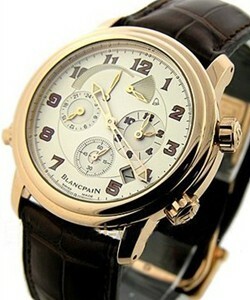 Blancpain was founded in 1735 by Jehan-Jacques Blancpain. 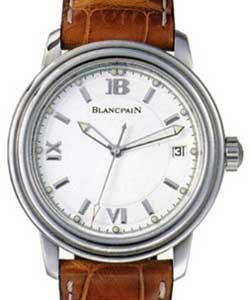 In 1926 it was the first company to bring to the french market an automatic watch. 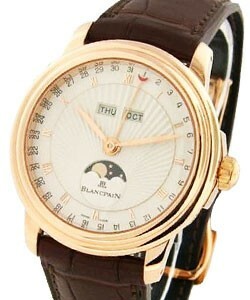 After a 50 year halt, Blancpain is revitalized by JC Biver and Jacques Piguet. 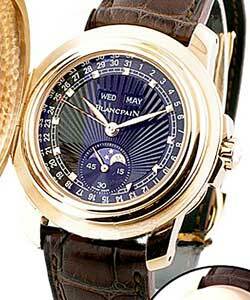 They produced split second chronographs, tourbillons and repeaters. 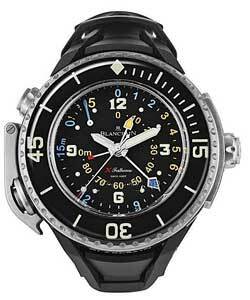 The Swatch Group purchased Blancpain in 2000. 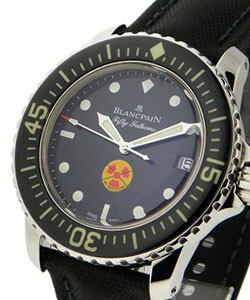 To this day, Blancpain produces less than 10,000 pcs per year. 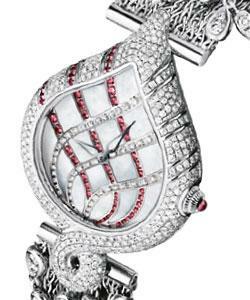 The factory is right next to the famous movement maker Frederic Piguet. 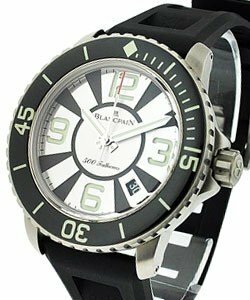 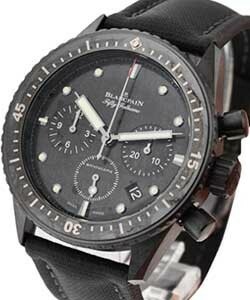 Therefore, it can be said that Blancpain features an in-house movement. 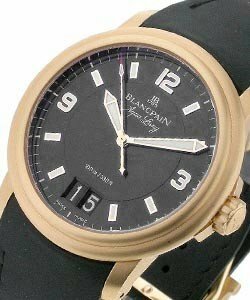 It should also be pointed out that Blancpain does not use an assembly line production rather each watchmaker assembles a watch from start to finish. 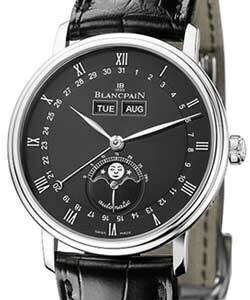 Blancpain Men's 'Le Brassus' reflects the brand flawlessly; stylish with intricate and outstanding movements. 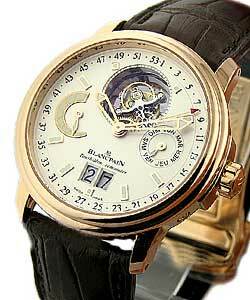 'Le Brassus' includes; 'Complete Calendar GMT','Perpetual Calendar Split-Second Flyback Chronograph','Tourbillon Split-Second Flyback Chronograph', and 'Carrousel Repetition Minutes Le Brassus' (Karrusel). 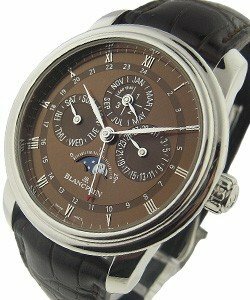 'Karrusel' features a new grand complication; the minute repeater's 'Cathedral Gong' striking mechanism creates extra-long and richly superior sounding rings. 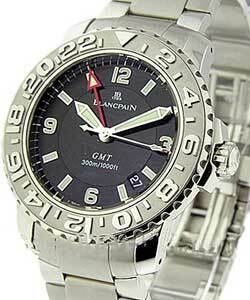 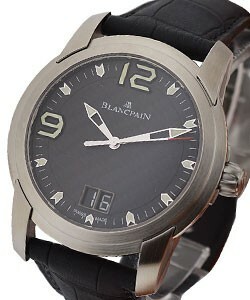 Blancpain 'Leman' is named after Lake Leman, and carries seventeen variations in Steel, Titanium, Rose and White Gold. 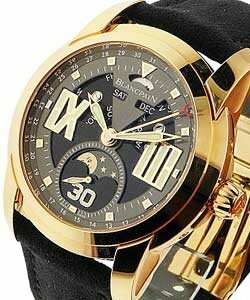 'Leman' features complications like the Complete Calendar, Moon Phase, Double Time Zone, Flyback Chrono Grande Date, GMT Alarm, Flyback Chrono Perpetual, Tourbillon, Minute Repeater, the Leman Patented Water-Resistance System, and the aforementioned 'Cathedral Gong'. 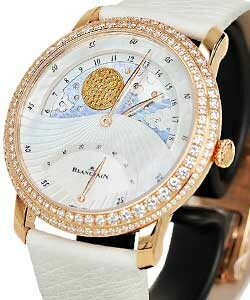 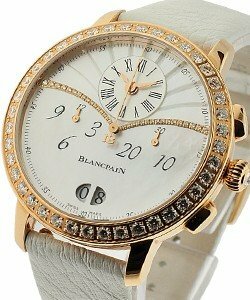 Blancpain's Leman also features some beautiful women's models, including gorgeous diamond designs. 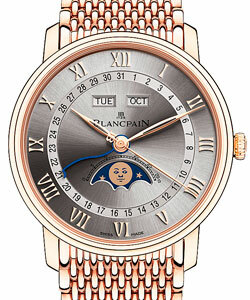 'L-Evolution by Blancpain is distinguished by over-size Roman numeral hour markers at 9 and 3 o'clock, and partially open dials. 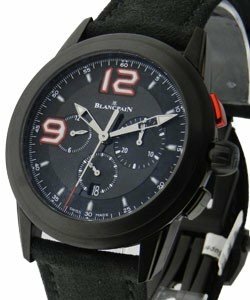 Sporty and ultra-modern, models include; Tourbillon ('L-Evolution Tourbillon GMT 8 Jours'), 'Alarm Watch' ('L-Evolution Reveil GMT'), Moon Phase ('L-Evolution Phase de Lune 8 Jours'), the Ultra-Slim ('L-Evolution Automatique 8 Jours'), Flyback Chrono ('L-Evolution Super Trofeo Flyback Chronograph'), and Karrusel ('L-Evolution, Carrousel Volant Une Minute'). 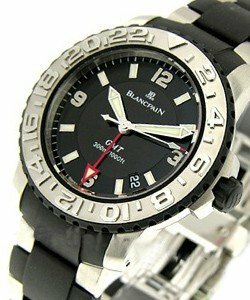 Also Sporty and extremely popular, Blancpain's 'Sport' features many hip yet elegant designs featuring GMT, Tourbillon and Flyback Chrono complications, most well-known of 'Sport' models is 'Fifty Fathoms'. 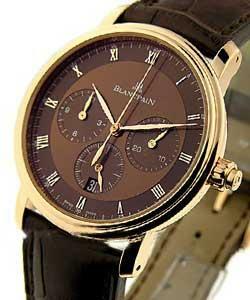 Also popular are Blancpain's 'Villeret' Moon phase, GMT, Chronograph, Tourbillon, Minute Repeater and Ultra Slim models. 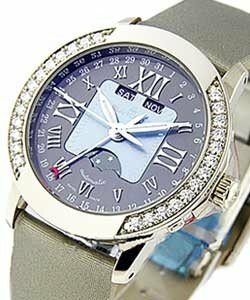 'Villeret' is a classic favorite with both men & women. 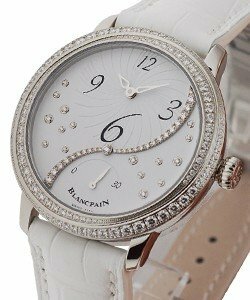 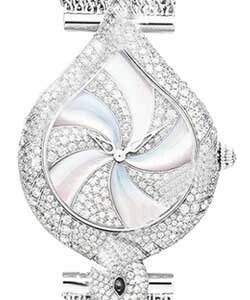 Also for the ladies, Blancpain's Women's line features many gorgeous and elegant timepieces.